How will Brexit impact the UK jewellery market? On June 23rd 2016, 52% of British voters decided that it was time to leave the EU. A two year negotiation period began following the activation of article 50 last year, leaving the results of the Brexit decision still largely unknown. As a result of this uncertainty, many businesses have been left wondering what the future will hold. Several key figures in the jewellery industry were questioned at an industry dinner event prior to the vote. The results only served to highlight the uncertainty – 43% wanted to remain, 37% wanted to leave and a massive 19% were undecided. Though the pound did fluctuate in value immediately after the Brexit vote, October 2017 saw retail sales rising by 1.3% compared to the same period the previous year. Some experts are not optimistic however, with many predicting a weakened economy in the years to come. So, how will this impact the UK jewellery industry and how can we predict the long-term effects? We investigate the impact of uncertainty in the market today and discuss how jewellery retailers can adapt and prepare for change. Ever since the results of the vote were announced, the value of the pound has been fluctuating. A weakened pound spells bad news for the jewellery trade, as precious gemstones and metals are traded on a global scale. The more the value of the pound falls, the more their prices rise in real terms. In the jewellery industry, luxury items tend to have a lower inventory turnover, which when combined with the rising prices could make it harder for retailers to sell their pieces. The rise in jewellery prices may not necessarily be a bad thing however, for visitors to the UK who enjoy spending money on luxury items, the higher prices could lead to the pieces being perceived as better quality. Foreign visitors to the UK could also be encouraged by the weaker pound, as currency is now cheaper for them to buy. This could lead to increased jewellery sales as visitors choose to make purchases on their UK vacations. Trading regulations for imports and exports have not yet been confirmed, so the future of the supply chains of many retailers remain uncertain. A massive 32% of businesses who use European suppliers have reported that they are now looking for alternatives in the UK. Many jewellers also outsource their rings and materials from abroad, which may not be possible for much longer. Jewellers would have to source their rings domestically, which could potentially lower the quality of the jewellery available. Some have argued that this is a good thing, as it could potentially encourage an influx of skilled workers into the industry, which would lead to a more self-sufficient UK overall. Training new workers takes time however, as apprenticeship schemes require careful planning and government funding – something which is not yet in place just yet. Hallmarking is a large part of the jewellery industry; a reputable hallmark can increase the value of pieces and appears attractive to those wanting to buy. 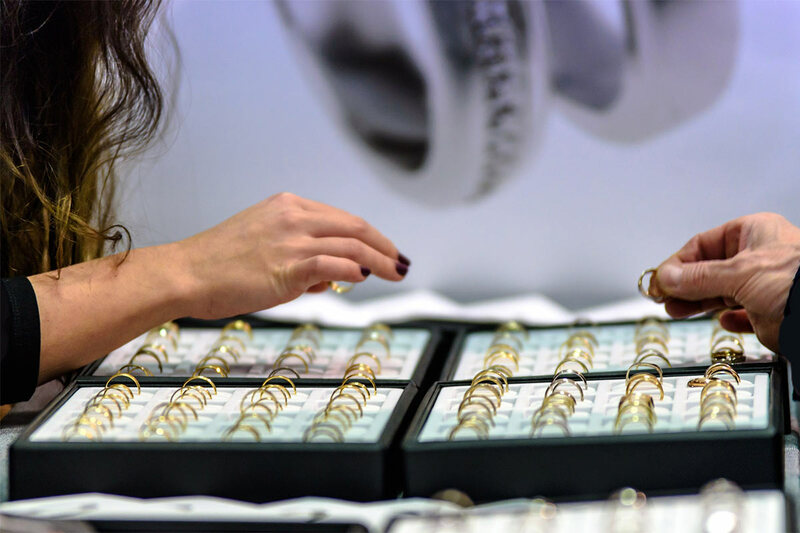 Some of the larger jewellery retailers have expressed worries that some countries within the EU, including France, Spain and Italy, may choose not to recognise British hallmarks in 2019. This could see some companies opting to move their hallmark operations to other countries – taking their payments along with them. So far, even the experts have been unable to predict the outcome of Brexit. Whilst many in the jewellery industry expect prices to rise, some experts believe that people will continue investing in luxury. Others have expressed fears over disruption in the industry. A survey carried out in 2017 of 2,111 supply chain managers from across the globe (of which 904 were UK businesses with European supply chains) showed that 80% said that the EU split is making it difficult to make long-term plans. Supply chain managers aren’t the only ones expressing their concerns – 23.9% of design graduates also reported that they were uncertain about the effects that Brexit will have on the UK’s creative economy. Being unable to plan for the future leads to instability for businesses, particularly those in the jewellery market, who are largely unable to adapt their offerings. How can the UK jewellery market prepare for the changes? In these uncertain times, jewellers have been advised not to make any fixed long-term plans, as these could potentially be interrupted in the wake of the Brexit agreement. So, how should jewellers adapt to the uncertainty on a short-term basis? Online presence is important – many jewellers have reported a rise in their online sales after Brexit. The key is to focus on non-traditional markets and customers from other countries. Keeping up excellent customer service standards through each distribution channel. It is important that sales remain high, however jewellers should keep in mind that their customer base is often varied, and some prefer to make their queries in person or over the telephone than online. Ensuring that you have a product range to suit all needs. Research shows that Generation X are spending more on heirloom jewellery, whist Millennials tend to go for pieces with shorter lifespans. It’s important to maintain a positive attitude. Angelic Diamonds engagement rings have seen the cost of precious metals increase, along with an increased demand from overseas customers due to the fall in pound sterling. Even with all of the uncertainty in the market, those in the jewellery industry should remain positive about the future post Brexit.